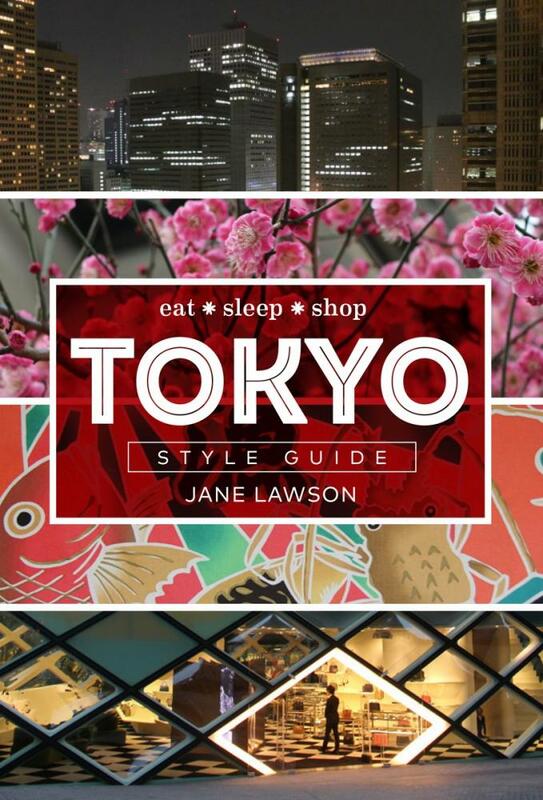 Thankfully Jane Lawson's book, Tokyo Style Guide is more of a walking tour of Tokyo than a pure style guide, as my interest in shopping is minimal. Unfortunately, it's also a hardback book, so it didn't get to come on holidays with me. I browsed it a little before leaving, but have thoroughly enjoyed going through it properly now that we're back - it has helped to make sense of some of what we saw and experienced as well as providing fodder for next time! This is not a comprehensive travel guide for all the things to see and do in Tokyo. Most of Lawson's walks feature specific shops and areas of Tokyo renown for their stylish wares or style icons, but there's also a lot of important, practical stuff, like where to get a good coffee, yakitori and tasty dumplings. Lawson also includes temples, parks, markets and other interesting sites that the first-time, overwhelmed visitor to Tokyo might miss. We skipped most of the shopping experiences in this book but I still found lots to inspire me in planning where to go and what to expect. Lawson stresses the 'magic' of finding your own way, 'getting lost in Tokyo is to be expected, so take a deep breath and make it part of the fun.' I was very grateful to have read this particular section BEFORE going to Tokyo. We only got a little bit lost once, although one or other of us got bamboozled by directions numerous times, just luckily not both of us together! (Which probably what makes us such a good travelling combo). It's not always easy to go with the flow when you're tired and stressed in a strange country, but Japan was certainly one of the easier countries in which to do so. 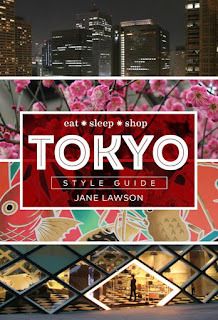 What I really loved about Tokyo Style Guide though were the pages and pages of fabulous, colourful street photography. They prompted me with good ideas before heading off as well as giving us lots of good memories when we got back home. Lawson's other helpful tips included wearing slip on shoes and checking your socks for holes. She went through some useful phrases which included the Japanese characters so that you could feel confident about walking into the right toilet block or out of the correct doorway. Some of the train travel info was out of date as the big wide world of phone apps has made this much easier in just two years. Tokyo Style Guide was a December 2016 publication - a lot can happen in Tokyo in 18 months! How lovely that you were able to use the book to make sense of some of your experiences upon your return home. And the pictures sound very inspiring, too. Do you think you'll return to Japan? Most definitely Liz! We loved every minute of our time there and there are so many more places and islands to visit still. Mt Fuji also hid behind cloud cover the entire we were there, so we will have to return for that if nothing else. We loved the food, the trains, the thoughtful way of managing large crowds, it's a fascinating culture and despite the large population they have kept lots of large open wild areas of nature.